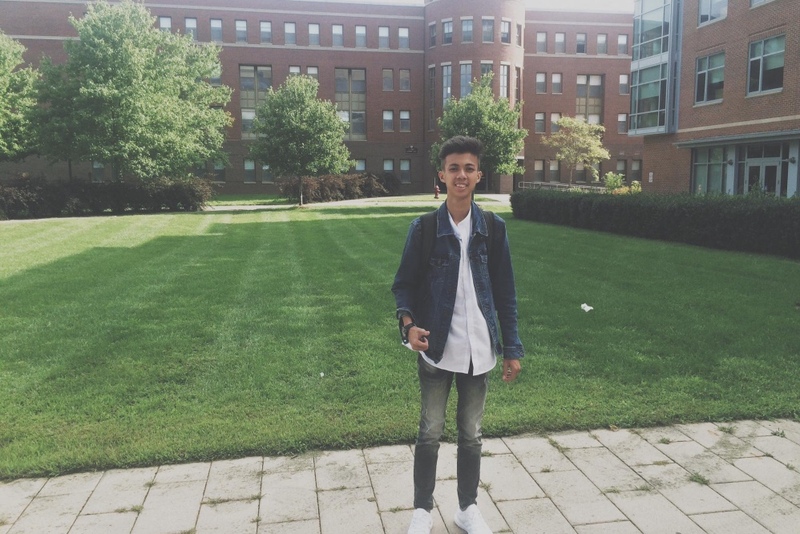 We are delighted to announce that Pagna, a 19 year-old scholarship student from EYC, recently started a yearlong exchange program at Bridgewater State University (BSU) in Massachusetts where he is studying Political Science. He follows in the footsteps of Synoeun, an EYC alumni and our current Program Director, who studied at BSU in 2014-15. Pagna is a charismatic, curious, and intelligent young man, and any trepidation he might have felt at the thought of leaving Cambodia for the first time faded in comparison to the prospect of meeting new people, being exposed to a different educational system, and broadening his understanding and knowledge of the world. All that being said, Pagna did admit that he is a little nervous about the weather! Pagna arrived in the US in late August and is settling in well to his new life. We would like to offer big thank-you to members of the BSU community and friends of EYC who gave Pagna a warm welcome upon his arrival. We look forward to keeping you apprised of his adventures in the US through our blog and Facebook page. This transformational opportunity was made possible through the partnership of EYC, Pannasastra University in Phnom Penh, and BSU. Click here to read more about Pagna’s story. EYC Sports Coordinator Featured in Phnom Penh Post!